Typhoid fever can be defined as an acute illness which is associated with fever caused by the bacteria known as Salmonella typhi, and that is where the name has been deduced from. There are two types of this fever in general that is typhoid and paratyphoid. Paratyphoid is caused by a bacterium named Salmonella paratyphi, a related bacterium that usually causes a less severe illness. Typhoid fever is usually contracted by eating or drinking contaminated food or water through which the bacteria enter the body of the host. 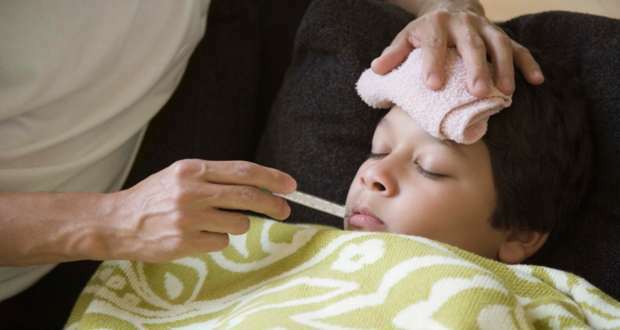 The incubation period of this fever, that is the fever sustains for usually around 1-2 weeks, and the illness persists for around about 3-4 weeks. It is accompanied with Fever as high as 104 degrees Fahrenheit, diarrhea, headaches, chest congestion, generalized aches and pains, poor appetite and lethargy. 1: You should drink boiled water in order to get rid of typhoid fever. And make sure that you drink the water when it is still warm. 2: One of the best home remedies is to grind 4-5 basil leaves, 7-9 strands of saffron into a paste and 6-8 black pepper tablets for preparing small tablets from the paste. Taking these twice or thrice during the day helps a lot. 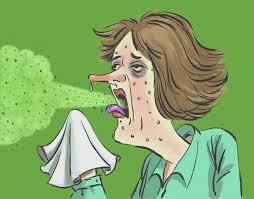 3: It is usually advisable to take complete rest as typhoid causes weakness. 4: It is advised to consume vegetable soups in your diet but make sure that there should be no spices or condiments as that might upset the intestines, and have it boiled and strained before intake. 5: A glass of warm water mixed with a spoonful of honey added to it does a great help as it soothes the digestive system as well as provides energy to the body. Else you can also have mash banana with honey syrup. 6: As it is mostly recommended o take liquid intake so you should have lots of juices like orange juice and Pomegranate juice as these help to rehydrate the body and provide energy a typhoid fever patient. 7: Another remedy is to boil around 3-6 pieces of cloves in about 2 liters of water. Continue the process of boiling till half of it that is 1 liter of water is left. Leave it for some time to cool and then filter it. Drinking this concoction throughout the day I small amount helps a lot. 8: Consuming fresh coriander juice mixed with buttermilk is a good therapy for typhoid fever. Typhoid is a gruesome disease as it makes the body really weak and is very irritating. So it is usually advised to take few precautions like avoiding eating unhygienic food, drinking untreated water, maintain hygiene in the household and in the surrounding, consume hot foods as the bacteria cannot survive, avoid consuming raw fruits and vegetables etc. India, Pakistan, and Egypt are also known as high-risk areas for developing this disease. There used to be a high mortality rate due to this disease. But these days certain antibiotics have managed to beat the devil. The prescribed antibiotics include Ciprofloxacin (Cipro), Ceftriaxone (Rocephin) which is an injectable antibiotic. It is basically an alternative medicine for those women who are pregnant and for children who are not advised to have ciprofloxacin. But these medicines have side effects, so it is mandatory to take these drugs on the prescribed format of a physician only. Someone from your location is currently reading What’s anorexia nervosa, causes, symptoms and treatments? Eating Raisins also be the one of the best home remedies for treating typhoid fever.